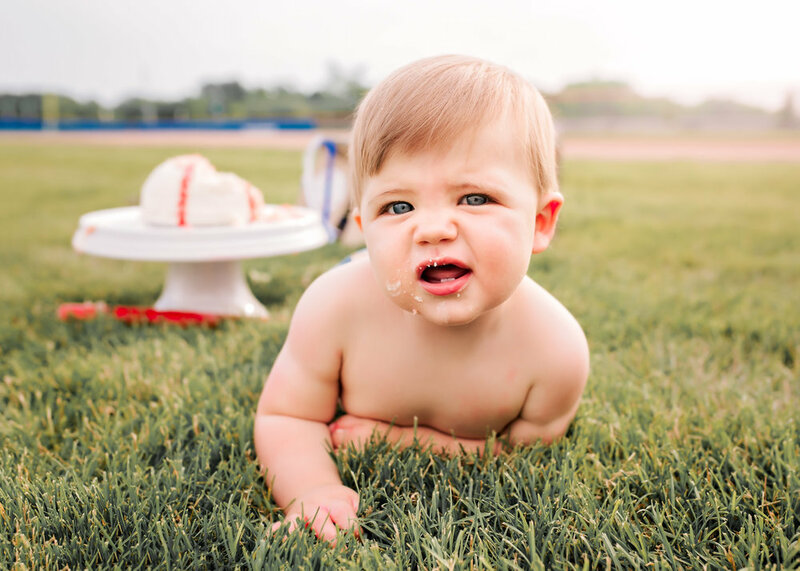 As always, Emily has exceeded my expectations with my son’s first birthday/smash cake photo session! We had a baseball themed party planned and Emily came up with some great ideas for the photo session. She even helped find and supply props! The turn around time for final edits was perfect so that I could get prints to display at his party! A huge bonus to this job is working with repeat families or what I call my VIP Families. I have photographed this beautiful family 4 times now, one of my favorites being this little guy's Fresh 48 Session last year. It's just amazing how fast they grow. One of the benefits to being a VIP Family are the exclusive mini sessions I create along with you to document your child's growth. After I do your In-Home Newborn or Fresh 48 Session, I have Baby's First Year Milestone Sessions available. No dream is too big for your baby's first birthday photos! Let's dream up something you'll never forget.